Daesh (ISIS, ISIL) said Sunday that it was behind the horrific bombings that struck Shiites in Damascus and Homs. Twelver Shiites congregate in the Sayyida Zainab district of Damascus, the Syrian capital, around the tomb of the Prophet Muhammad’s granddaughter. 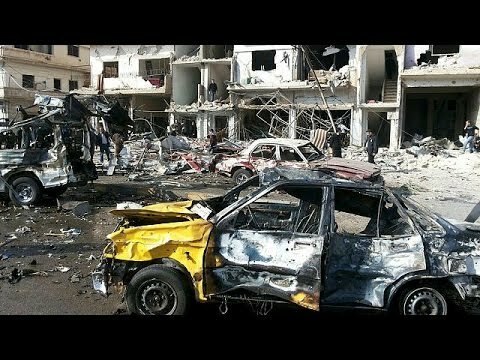 Car bombs and suicide bombers wearing bomb vests there killed over 80 and wounded 173. Only last month, 71 were killed in this district by Daesh bombs. Daesh or ISIL deeply hates Shiite Muslims and takes delight in massacring. In Homs, Daesh car bombs killed 57 in a predominantly Alawite area, Zahra, which has been the site of numerous such attacks in the past 5 years. Alawites, some 10% – 14% of the Syrian population, dominate the top government posts and are much reviled by Daesh and the Nusra Front (al-Qaeda in Syria). Interestingly, in the wake of the bombing in Homs, residents staged a another protest against the government of Bashar al-Assad for not providing them with as much security as it provided to the army. The city has been protesting in this way for months. The bad news for the Syrian revolution is that the people of Homs mostly fear the opposition (including al-Qaeda and Daesh) and the main complaint of many of them is only that the government isn’t being effective enough in crushing them. The Nusra Front (al-Qaeda in Syria) had controlled part of Homs and seemed poised to take the whole city until the 2013 intervention of Hizbullah, the Shiite Party-Militia, from Lebanon. The last of the defeated al-Qaeda fighters had to leave Homs last year. In Iraq, it just has two major cities left, Fallujah and Mosul, and the Sunni clansmen of Fallujah are increasingly rebelling against it. In Syria, it faces a determined push by the Syrian Arab Army of Bashar al-Assad to expel it from the eastern hinterland of Aleppo, the country’s largest city up in the north near Turkey. The M15 highway stretches from Aleppo to al-Raqqa, with the latter being the capital of Daesh territory. The Syrian army is extending itself east from Aleppo just south of the highway, and has taken about 19 villages in this area, killing at least 50 Daesh fighters in the process. Others turned tail and ran away to al-Bab northeast of Aleppos, the last major regional center Daesh controls in the immediate vicinity. Rayyan is one of the places captured, just to the east of Aleppo.